"Named for its plaintive cooing, these beautiful birds are found from Southern Canada down to Mexico. Although stable elsewhere, they are declining in the western US as they are commonly shot by hunters and are susceptible to lead poisoning as they eat spent shot left over in hunting fields while foraging on the ground. 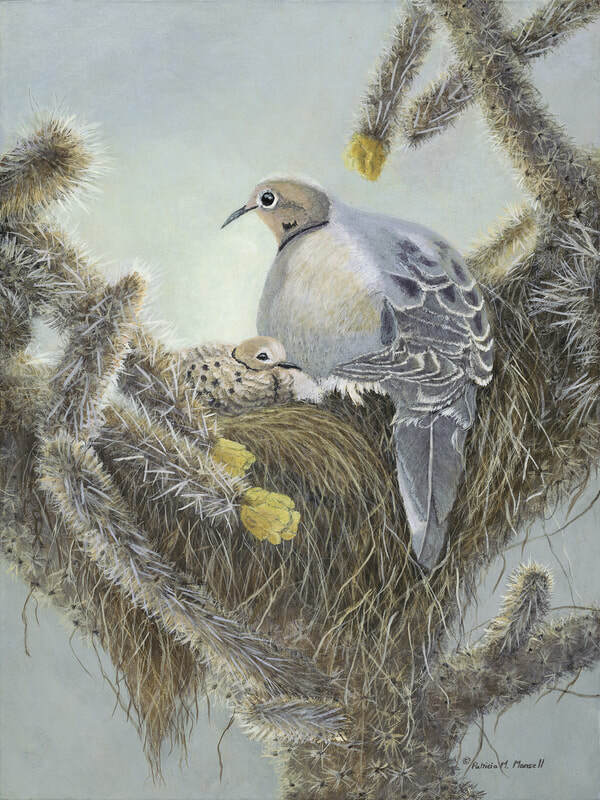 This bird has chosen the thorny protection of the cholla cactus for its nesting site."